October 27 - Over 2,000 spectators were in attendance as Haiti celebrated its National Competition day of Handisport, an annual event that was funded this year by the International Paralympic Committee (IPC) Agitos Foundation that honours people with an impairment in the country and showcases Paralympic sport. The day of Handisport, which took place last week, was the fifth edition of the event in the country, which was torn apart by a major earthquake in 2010 that saw an estimated 220,000 people killed in the disaster. The event this year was organised at College Faustin Soulouque in Western Haiti, where over 400 athletes and 300 members of the public took part in sport events. Those in attendance competed in athletics, boccia, wheelchair basketball, table tennis, powerlifting, sitting volleyball and amputee football. "The interest demonstrated by many associations of persons with disabilities to participate in the event is proof of the importance of sports in the lives of the Haitian citizen and their contribution to the development of the country," said Haiti's National Paralympic Committee (NPC) President Jean-Chevalier Sanon. The celebration promoted the accessibility of the Paralympic Movement in Haiti, encouraged disabled people to take up sport and also served as an opportunity to analyse the talented athletes with an impairment in the country. Haiti's first involvement in the Paralympic Games was due to come at Beijing 2008 when Nephtalie Jean-Louis was sent as the country's lone representative to compete in powerlifting. However, due to unspecified "problems with her weight" she was ultimately unable to compete and was listed as a non-starter in her event. 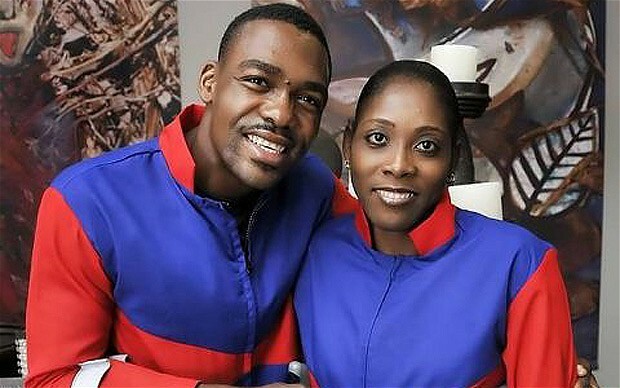 Therefore, London 2012 was the first Paralympics that Haitian athletes actually competed at with Jean-Louis returning, this time in the shot put and javelin rather than in powerlifting, and Josue Cajuste joining her as he competed in the men's shot put and javelin. The Agitos Foundation, which was launched at London 2012, is the leading global organisation for developing sport activities for people with a disability with a vision to lead the Paralympic Movement's aspiration of driving change towards an inclusive society. 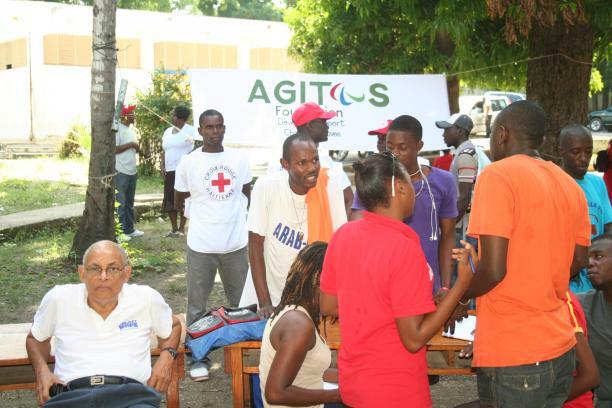 The Red Cross, USAID and the Special Olympics were among the several other sponsors in attendance in Haiti.